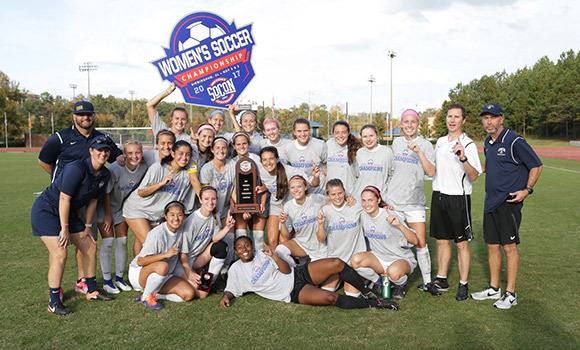 For the eighth time in program history and for the first time since 2010, the UNCG women’s soccer team can call itself Southern Conference Tournament Champions, as the third-seeded Spartans recorded a 1-0 victory over fourth-seeded Western Carolina Sunday afternoon. The Spartans earned the SoCon’s automatic NCAA Tournament berth and will face off against Duke on Saturday at 7 p.m. in Durham. The game will be broadcast live on the ACC Network/ESPN3. To read the full story, visit uncgspartans.com. Stay up-to-date on women’s soccer by following UNCG Athletics on Facebook and Twitter.